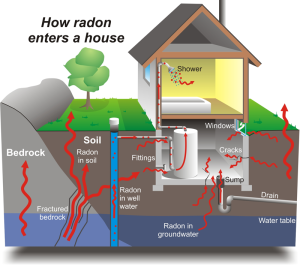 Many Americans are unaware of radon in their home, the health hazards it creates, or their need for radon mitigation. Radon is everywhere. It is the second most leading cause of lung cancer in the U.S. Toledo Basement Repair offers radon mitigation solutions in the local areas of Maumee, Toledo and surrounding areas to ensure the health and safety of your family. Radon is a toxic, radioactive gas that comes from the natural decomposition of uranium within the soil, bedrock, and underground water. It rises from the ground under the foundation of houses causing dangerous levels of radon. Large amounts can enter the house through cracks in the foundation. It is odorless and cannot be seen, making radon detection dependent on testing. Radon is in every state of the country. Due to this natural phenomenon, there is a one in fifteen chance radon levels are a problem in your home. While radon gas symptoms are not obvious, breathing high levels of radon will result in lung cancer. Further contributing to the difficulty of detection without proper testing, the damaging effects of radon to DNA, cells, and lung tissue are not immediately recognizable, making treatment difficult. At Toledo Basement Repair, our expert technicians are certified in Radon Testing and Mitigation and guarantee radon removal after detection. 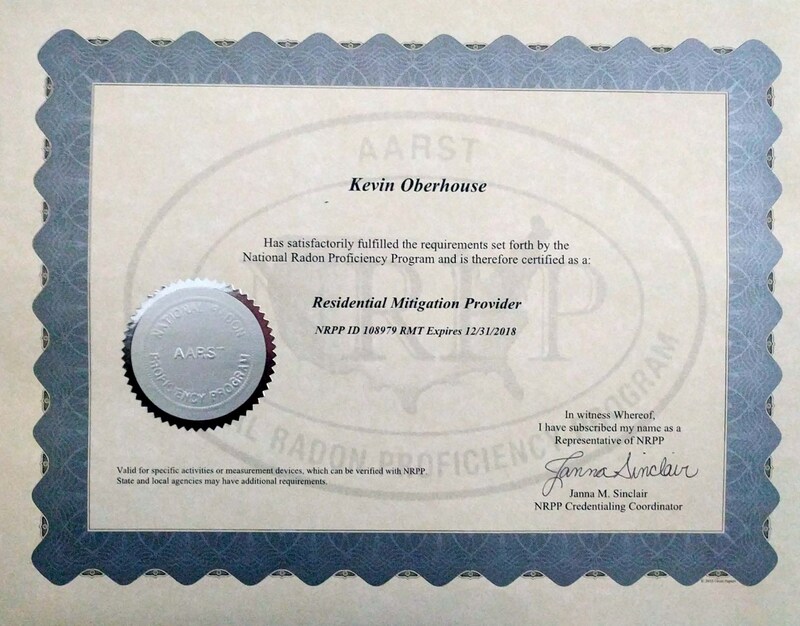 To ensure consistent and effective results, radon inspectors use designated protocol and are regulated by the EPA. Radon levels can vary greatly from house to house, so our process starts with a thorough radon inspection to determine location and density. Our radon mitigation systems address the problem at the source by redirecting the offending gas through appropriate ventilation of the basement. 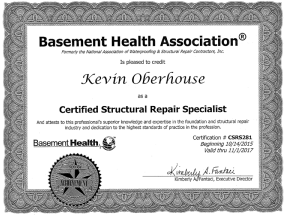 Call us now at (419) 297-6138 and have your basement tested to ensure the health of your family’s tomorrow.